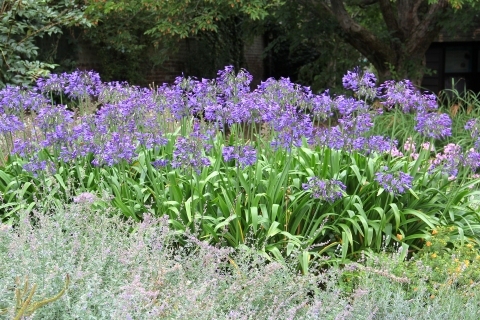 Agapanthus africanus is an evergreen perennial plant, producing a rosette of leaves about 1 metre high from an underground bulb. Flora of the Cape Peninsula. S. Africa - Cape Peninsula to Swellendam. Manning. J. Goldblatt. P. & Snijman. D.
Excellent treatment of these plants, with good descriptions, habitat etc. Lots of high quality colour photographs. ]. Division is very easy in the growing season, the divisions can be planed straight out into their permanent positions if required.